Established in 1987, Henan Tong-Da Cable Co.,Ltd has been focusing on production and design of conductor, wire and cable for over 30 years. On March 3, 2011, Tong-Da became a public company listed on the Shenzhen Stock Exchange. 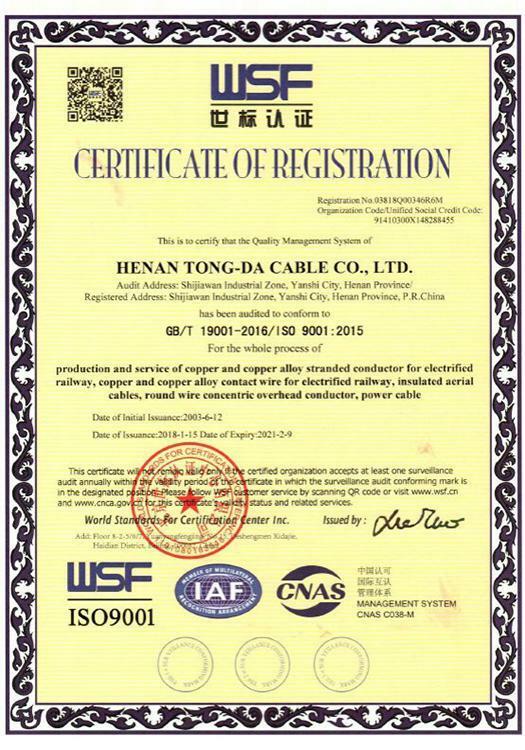 Our products include 7 main kinds: overhead conductor, catenary wire and contact wire for electrified railway, aerial insulated cable, power cable, electric equipment cable, control cable, covered line cable. Diversified special wire and cable, such as flame-retardant, fire-resistant, Halogen-free and irradiated cross-linked electric wire and cable etc are also available here at Tong-Da. 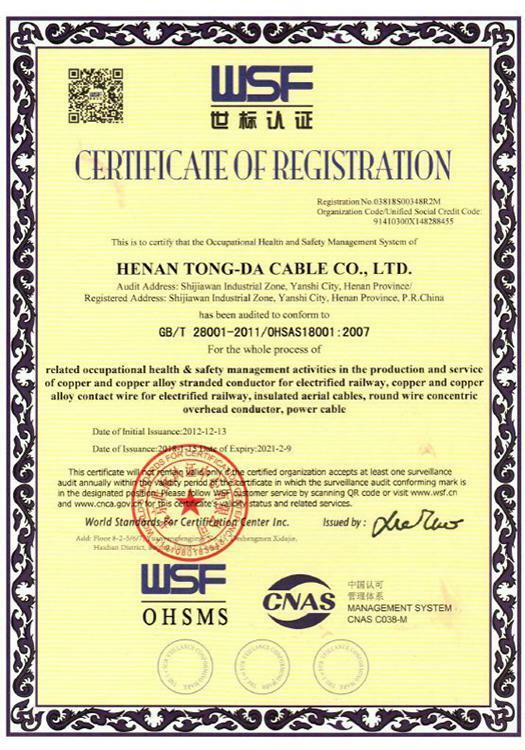 Besides, we can also produce wire and cable products according to the standards of IEC, ASTM, BS, DIN, AS, CSA, JIS, KS etc to meet specific needs of customers. Since 2016: Tong-Da has purchased Chengdu Flying Aviation Machinery Equipment Manufacturing Co., Ltd and will set foot on manufacturing of aviation parts to give full support to civil aviation and military aviation.